Get the whole family into the weekend spirit with these gorgeous cotton pyjamas. 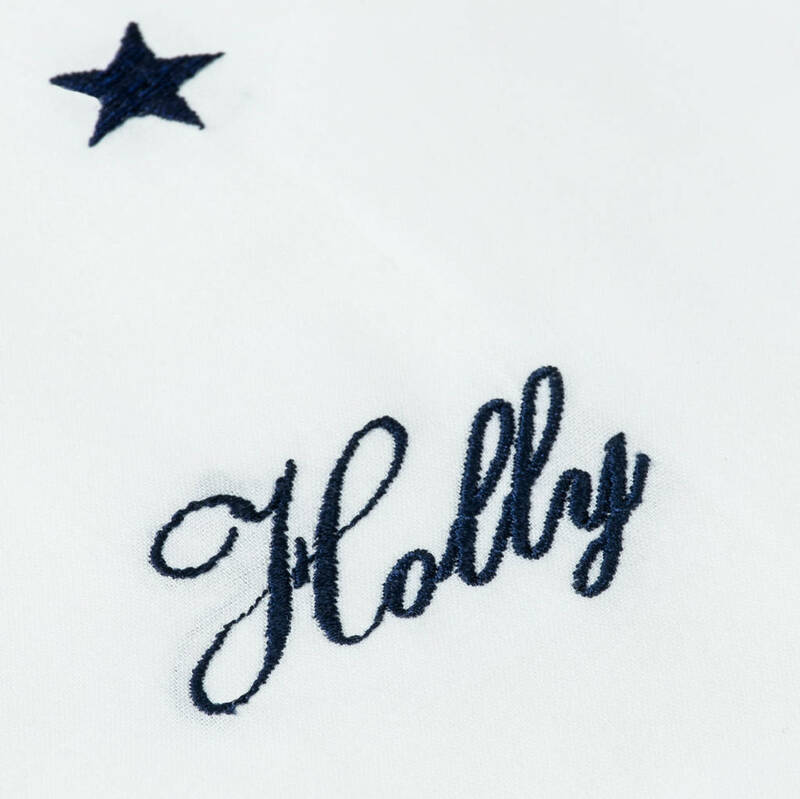 These matching personalised PJs are a must have for lounging around on Sunday's. 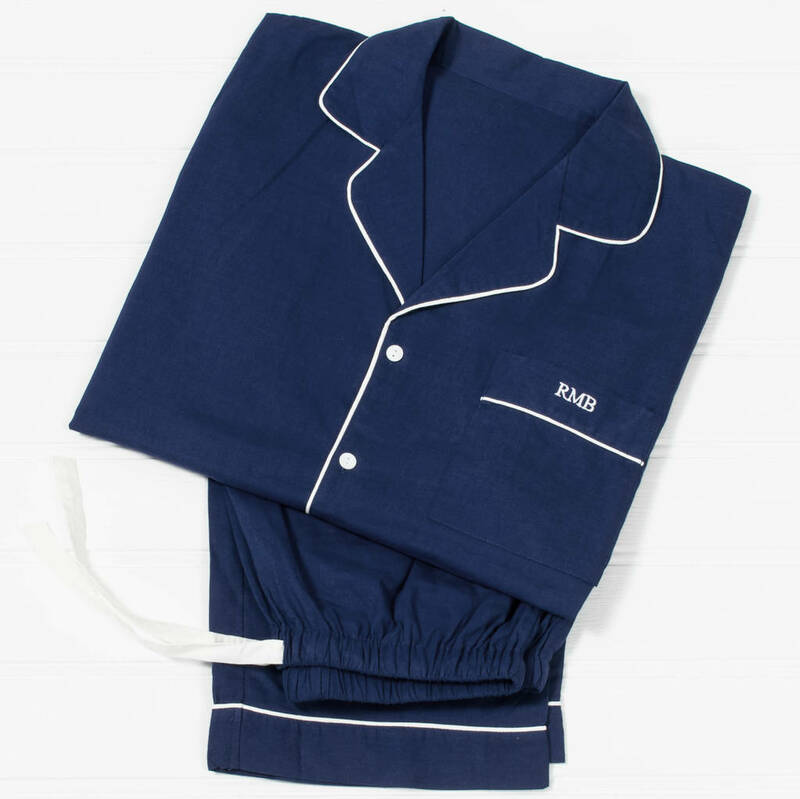 This pyjama set includes an adult set of pyjamas and a children’s option too. Add more for all the family. 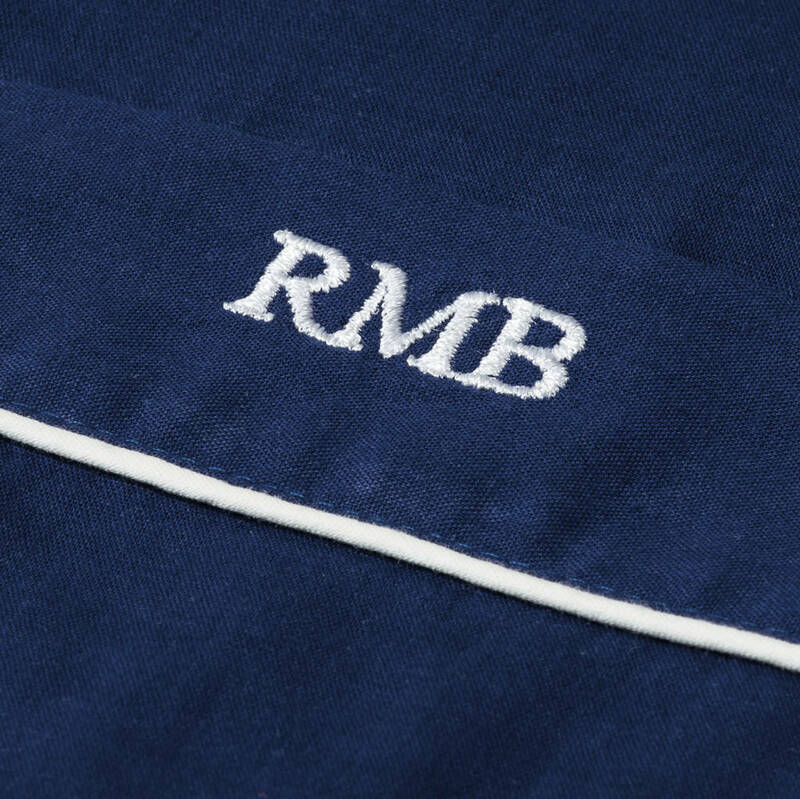 Each of the pyjamas are personalised with your choice of name or initials. Please refer to our imagery for embroidery position and style. Please note that our mens pyjamas come up bigger, our recommendation is to go down a size than usual. Please refer to our size guide. Please note that personalised orders are non-refundable. All personalised orders will be gift wrapped. 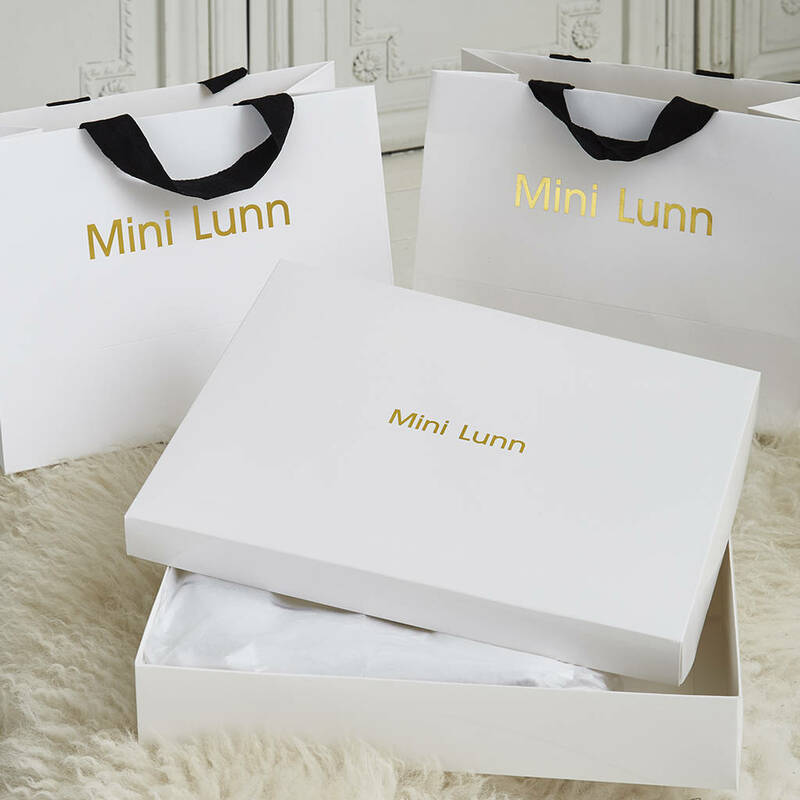 Please pick our complimentary gift wrap service for non-personalised orders. Shirt length 68cm -Chest (armpit to armpit) 41"
Shirt length 70cm - Chest (armpit to armpit) 44"
Small - Top Chest 47" | Length 30" | Sleeve Length 25"
Small - Trousers Waist 42" | Inside Leg 29"
Medium - Top Chest 49" | Length 31" | Sleeve Length 25.5"
Medium - Trousers Waist 43" | Inside Leg 30.5"
Large - Top Chest 50" | Length 32" | Sleeve Length 26"
Large - Trousers Waist 46" | Inside Leg 30.5"
XL - Top Chest 53" | Length 33" | Sleeve Length 26.5"
XL - Trousers Waist 48" | Inside Leg 31.5"
This product is dispatched to you by Mini Lunn.